Foundation cracks are, unfortunately, happening all the time and are a big portion of Basement Water Seepage issues found in basements and crawl spaces. It is the nature of concrete. Throughout most of Chicago homes with concrete foundations will eventually crack. This is often the result of concrete itself forever curing. Over time, concrete gets harder and harder and becomes more brittle and cracks begin to form. 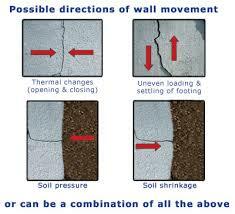 Just the shear force of the surrounding land applying inward pressure will cause a Foundation Crack. Add water to the earth surrounding your home and you are adding 7 lbs. per gallon and when the ground gets saturated the weight of the earth and water will cause a Foundation Crack. This is why it is important to regularly inspect and repair Foundation Cracks when they occur. Many products and solutions will fill cracks only temporarily, but with Safe Seal’s basement crack repair, the crack is sealed indefinitely. If the foundation where the crack repair was performed is moving, it will probably at some point in the future leak again. 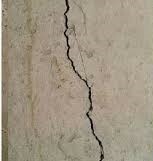 No one can promise that a crack will never leak again due to acts of nature, poor foundation construction and inferior concrete used to pour the foundation but in most cases, we give a Limited Lifetime Transferable Warrant of the Foundation Crack Repairs we perform. How to find a Foundation Crack in a Finished Basement? From the exterior of of the home, the foundation should be visible around the complete perimeter of the home. At a minimum, 2 to 4 inches of foundation should be visible. If it is not visible Basement Water Leaks can be from water coming over the top of the foundation which is a whole different problem at not as easy to solve. When a basement is finished and you can not see a Foundation Crack because the drywall or paneling is in the way (we can not see through drywall either) and the foundation CAN BE SEEN by performing a thorough visual inspection from the outside. Remember, 2 to 4 inches of the homes foundation should be visible at all times. Why is this important? Foundation Cracks usually and hopefully run from the bottom of the foundation all the way to the top of the foundation. The Foundation Crack will also run all the way through the foundation wall which means the crack can be seen from the outside and the Foundation Crack location determined. Knowing the exact location of the Foundation Crack will allow us to know exactly where to remove the drywall to fix the Foundation Crack. Horizontal Foundation Cracks are a sign that the foundation is beginning to bow due to the outside forces we described above. 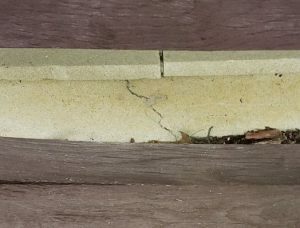 Not only does the Horizontal Foundation Crack have to be repaired to stop water infiltration, t he Foundation Wall has stop moving. Carbon Fiber Wall Straps is the right answer depending on the severity of the problem. Repairing Foundation Cracks. There are a few ways to fix a Foundation Crack for a Poured Concrete Foundation. 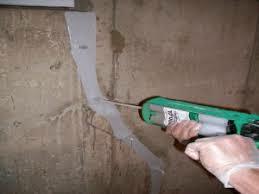 A Foundation Crack can be fixed form the outside using a membrane system. This method can be very expensive depending how deep the dig and what other obstacles are in the way such as side walks, decks, air conditioning units, driveways, porches and concrete stoops to name a few. 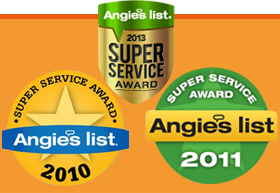 once access is achieved, the surface has to be thoroughly cleaned before a membrane can be used. The membrane should be flexible and needs to adapt to the climate conditions of the Midwest. These types of foundations present a whole new set of problems. These foundation types typically have to repaired from the outside and depending how deep the foundation is, plus the extent of the damage, can be very expensive. Mortar is what binds these materials together and it usually the mortar that is failing which means the right tradesmen will have to re-tuck point and seal from the outside. This can be very expensive but most be done to save the foundation, especially in older homes. 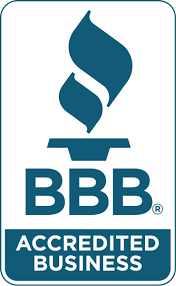 It also very intrusive to the landscaping and often has many obstacles in the way such as side walks, decks, air conditioning units, driveways, porches and concrete stoops to name a few. If possible and as a cost effective solution, a the SAFE SEAL SYSTEM can be installed as means of directing the water to got to a sump pit and avoid causing damage to a finished basement.